Hanging Butterfly W/Bells 3 Asst. 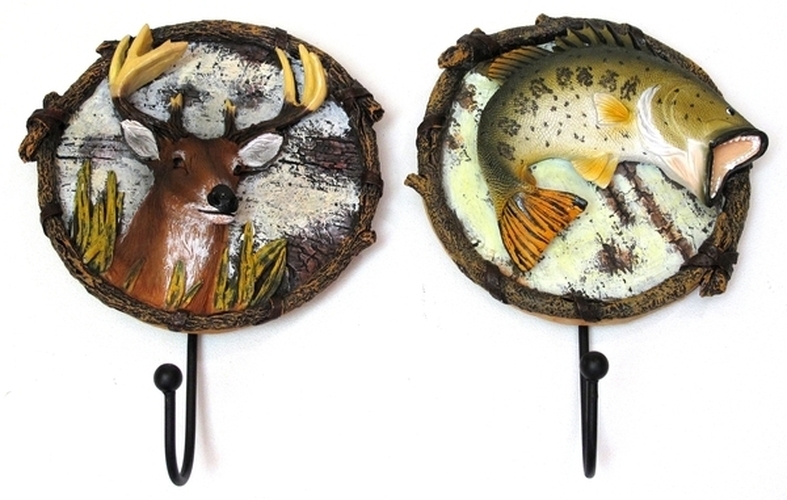 Animal Wall Hook Set of Two - Great detail and color! Fish and deer. Resin with metal hook. Hook on back for hanging. Each measures 6" x 4.25" x 1".